Each Tuesday I have the opportunity to sit with Kham, Lan and Hai. 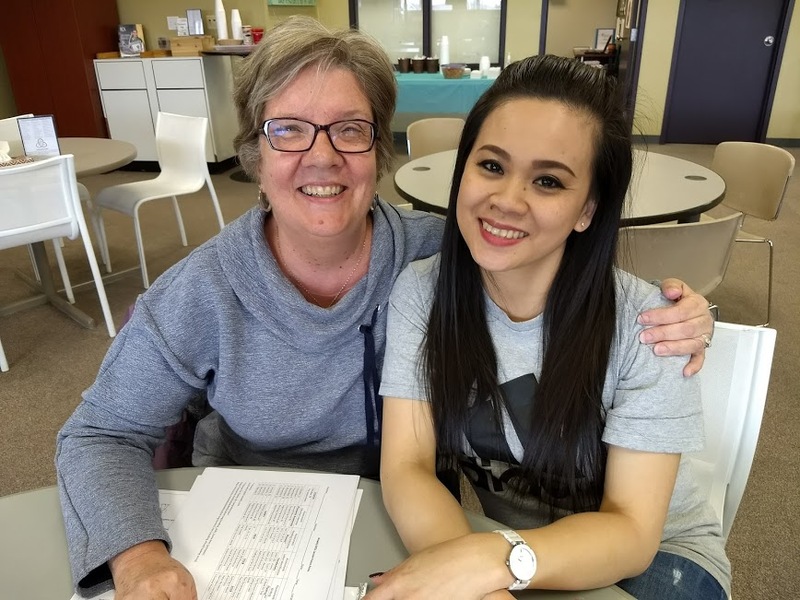 My friends are from Vietnam and we get to practice English together every Tuesday from 2:00 -3:00 PM. It is my favorite part of my day because I get to spend this time with remarkable people who work incredibly hard 10 hour days and still have the energy and passion to spend time learning the difficult language of English. We laugh as we learn new words and practice saying them out loud. I realize the challenge of learning a new language as they teach me some Vietnamese words. We are always in need of some more mentors to walk along with our English students. Please contact the LifeQuest office to get more information: lifequestinfo716@gmail.com. This past week we gathered together as a group of mentors and students to celebrate the learning we have been doing. Please enjoy the pictures below to get a sample of the this awesome opportunity to walk along side people from many different cultures and languages.